You know all those times when you plan to hit the gym after work but once six o’clock rolls around, you’re too famished to go and end up skipping your much-needed sweat sesh? 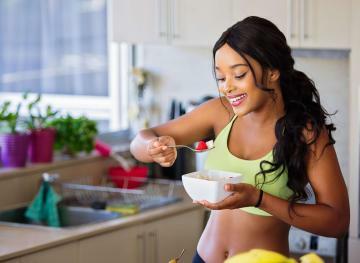 We’re here to help you avoid this scenario as much as possible by offering up six easy snack ideas that’ll help you fuel your body before exercise without leaving you too bloated to give it your all. Eating a small snack within two to three hours of working out can keep you from becoming dizzy, lightheaded, nauseous and lethargic while you exercise. When picking a pre-workout snack, you’ll want to choose foods that contain healthy carbs that provide ample glucose to fuel your muscle cells. Pair those foods with easy-digestible protein sources (like nuts or nut butter) that’ll help you retain and build muscle mass during strength training exercises. Fat should be kept to a minimum unless you’re fueling for a long-duration, moderate-to-low intensity workout like a long-distance run. In that case, you should introduce a little healthy fat to your meal, since it’s the primary source of fuel for less intense, steady-state workouts. Below you’ll find our favorite go-to pre-workout snacks. 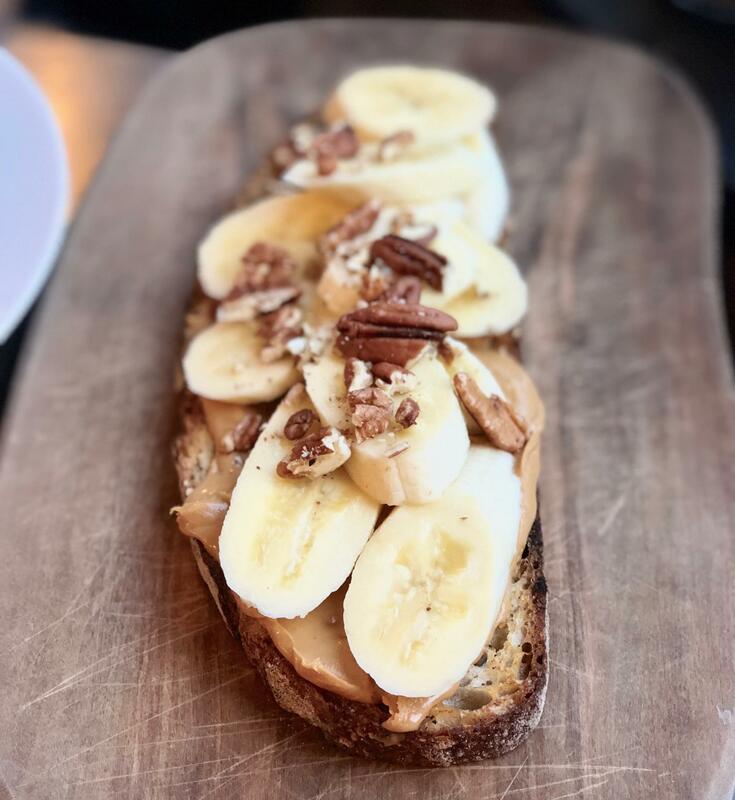 For a quick and easy snack that’ll fuel you without weighing you down, try a slice of 100 percent whole wheat toast with a tablespoon of almond butter and half a banana. The healthy carbs in whole wheat bread will help you stay energized throughout your workout. Banana slices will fuel you while also providing potassium that will prevent you from getting muscle cramps during your sweat sesh. Finally, the almond butter will give your body the protein that it needs to repair those tiny muscle fiber micro tears that you get when doing strength training exercises like lifting weights (don’t worry, this is completely normal and harmless). If you’ve got at least an hour to spare before your workout, eating a small bowl of greek yogurt with a handful of blueberries will give you the energy that you need to power through. Greek yogurt has both carbs and an ample amount of protein, the perfect combo to prep your body for work while helping it retain and build muscle mass. 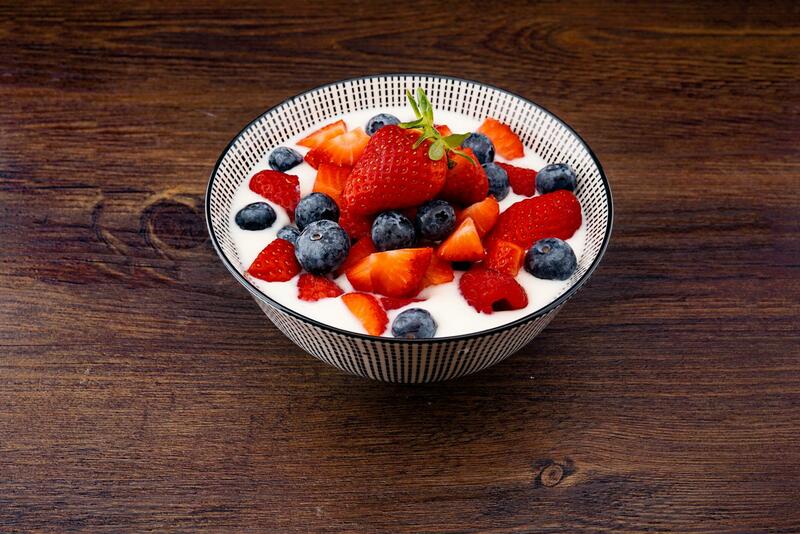 Stick with plain, fat-free or low-fat Greek yogurt so that you’re not taking in too many fats before you exercise. Even though Greek yogurt contains healthy fats, eating too many fats before you work out could end up making you feel sluggish. The blueberries in this snack combo contain two simple sugars — glucose and fructose — that’ll give you the fuel you need to power through. Steel-cut oats are loaded with healthy, slow-digestible carbs. If you eat steel-cut oats about two hours before you hit the gym, they’ll give you enough energy to power through your entire workout. Since your body digests the carbs in oatmeal slowly, just make sure that you wait at least an hour after you eat it before you hit the gym. 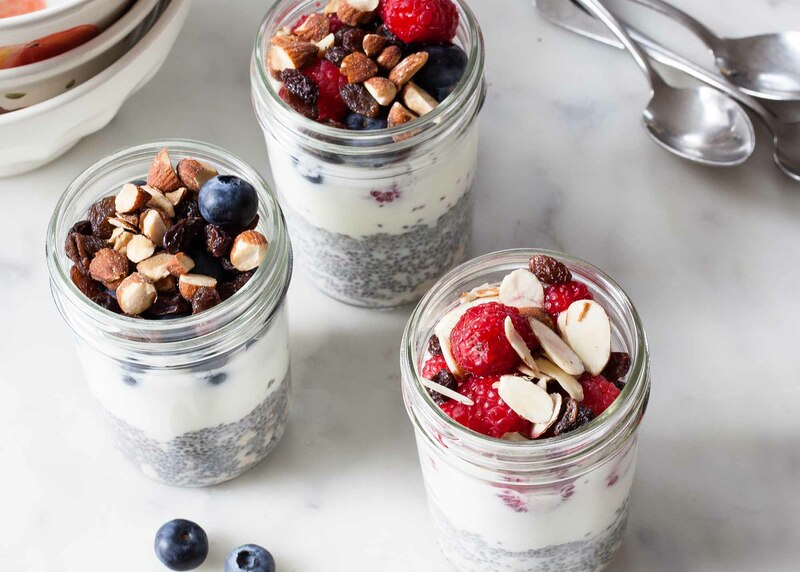 This grab-and-go oatmeal chia cups recipe from Simply Recipes combines healthy, energy-boosting carbs like oatmeal and berries with easily digestible protein sources like yogurt and nuts. The recipe calls for layering steel-cut oats with vanilla yogurt, but we recommend nixing the yogurt all together if you’re planning on eating this meal closer to your workout, as to not upset your stomach. We’d also recommend nixing the dried fruit in this recipe and just sticking with fresh berries to cut down on added sugar. If your workout starts in less than an hour and you desperately need a grab-and-go, easy-to-make pre-workout snack we suggest making a yummy berry smoothie with nut butter. 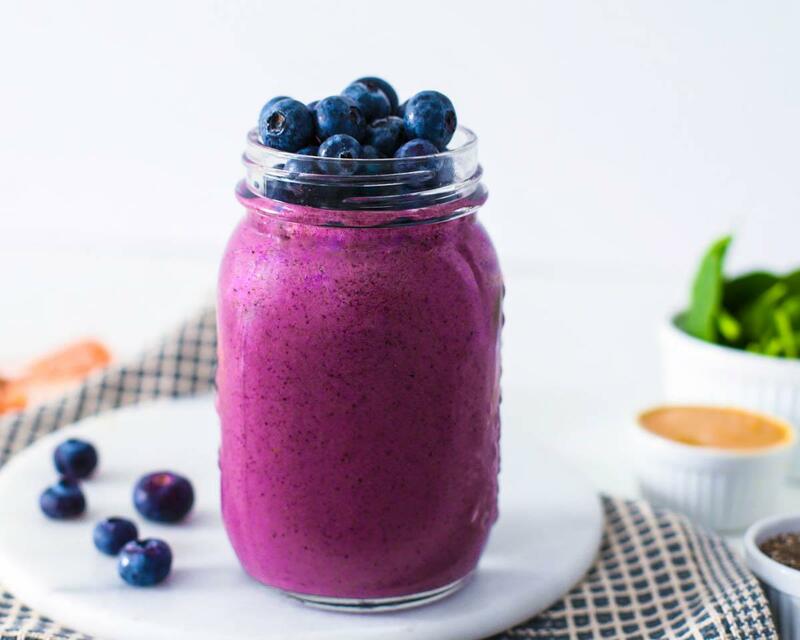 This balanced blueberry breakfast smoothie from Food Heaven Made Easy provides all you need for a quick pre-workout snack. It’s made with fresh berries and banana slices that have the glucose that your body needs to fuel your muscle cells for work. It also contains peanut butter, an easily-digestible protein source. Stick with non-dairy milk or water for this recipe so that you don’t upset your stomach by eating too much dairy before you exercise. You can even add your favorite protein powder to the mix if you’re looking to crush an intense weightlifting workout. This snack is super simple yet great to eat if you’re fueling for an endurance workout like a five-mile jog. Though you should primarily eat a combo of carbs and protein if you’re prepping for short and high-intensity bouts of exercise like weightlifting, for low-t0-moderate intensity, longer duration workouts a snack that combines healthy fats with carbs is optimal. Fat is the favored source of fuel for steady-state, longer duration exercises. 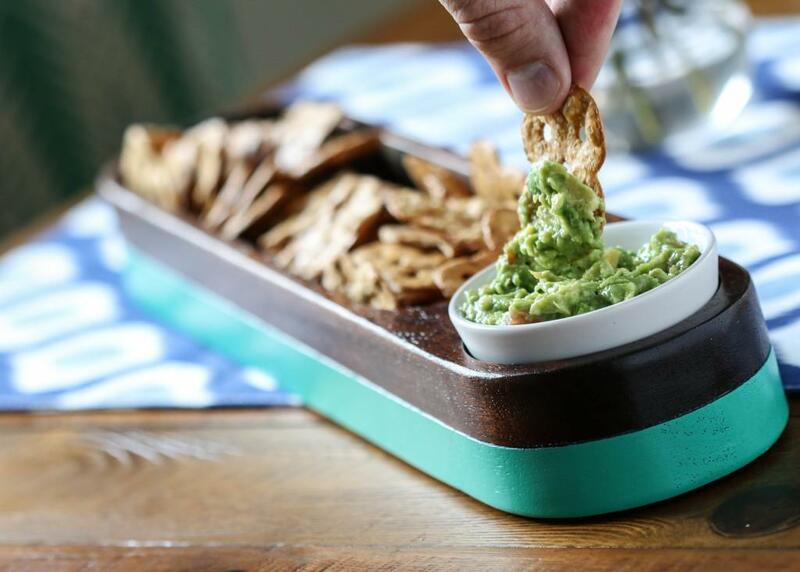 To prep, this snack, simply spread smashed avocado onto your favorite whole wheat or multigrain crackers. Then add a little sea salt and cracked pepper to taste. The electrolytes in the salt will help you keep hydrated throughout your workout. 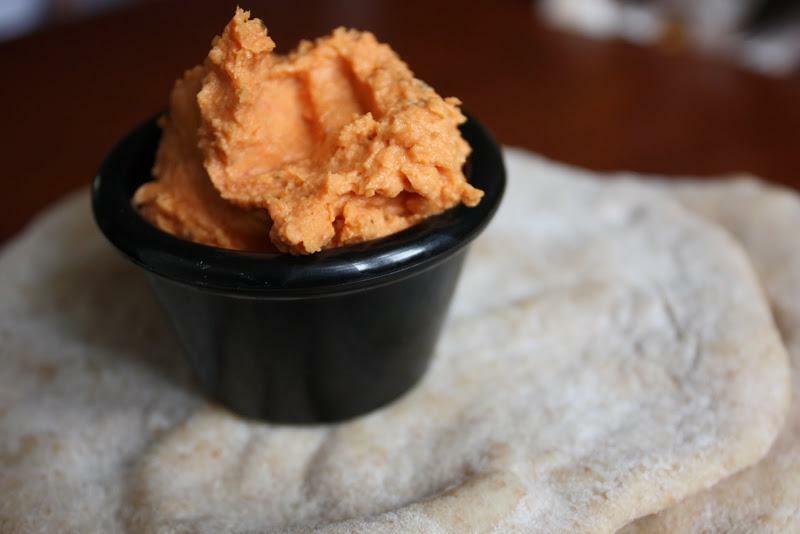 Hummus and whole wheat pita bread offer the perfect afternoon pick-me-up snack combo to eat about an hour before an intense workout. Hummus is filled with protein-rich chickpeas that will help your body get the best muscle mass-boosting benefits from your workout. When you combine it with whole wheat pita bread, you’re also getting healthy carbs that will help you give it your all while you exercise. Instead of using store-bought hummus for this pre-workout snack, try making your own homemade variety that’ll surely be more delicious and nutritious. 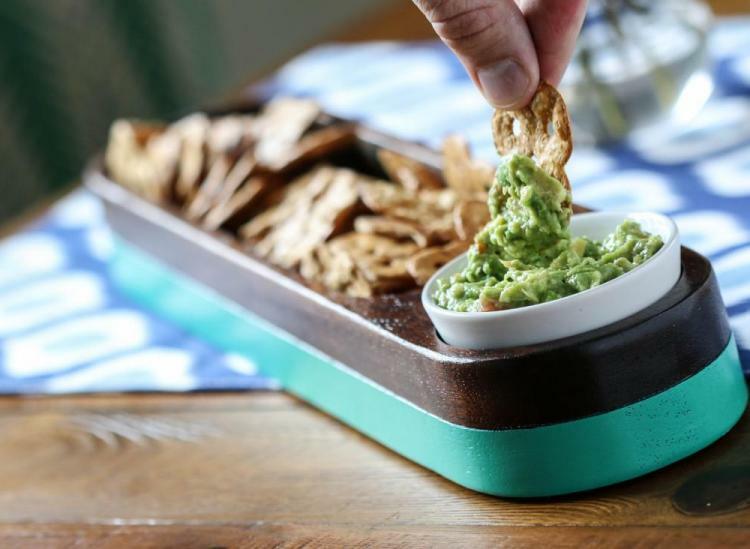 This sun-dried tomato and basil hummus recipe from Naturally Ella will only take you 10 minutes to make.